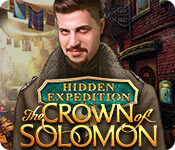 Hidden Expedition: The Crown of Solomon is rated 4.3 out of 5 by 22. Rated 5 out of 5 by mrm2006 from Put the broken crown back together and you could rule the world! I had played this game when it came out in the CE version and it had me hooked completely. I haven't played it yet (my Game Manager groans every time I buy another game because there are waaaay too many purchased and not yet played). LOL. Storyline: A fragment of a powerful crown has been stolen from King Solomon's Tomb. It is said that whoever has possession of the crown, which King Solomon destroyed into pieces, will RULE THE WORLD! H.E.L.P. is called in to investigate the situation and YOU are the investigator. Find those crown pieces and keep them out of the hands of wrong people. FYI: You WILL be facing danger at every turn. There is an infiltrator at the H.E.L.P. Organization. Off you go. Good Luck. Graphics and Sound: Amazing. Strong colors, great atmosphere. A LOT of hard work obviously went into this game. Voiceovers are clear and easy to understand. Lip syncing perfect. Music - not annoying and the tempo rises and falls as appropriate to the situation. Even has the "edge of your seat" rising tempo that really did have me at the edge of my seat - lol. Game Play: Easy enough. You are a H.E.L.P. Investigator traveling the globe to find the pieces of the crown before the bad guys do. However, you were found out and followed - trapped in a sinking ship in the Arctic - end of demo. DRATS! HOGS and Mini Games: Not many HOGs in the demo - like not one in every scene - but those I played were interactive, fun and not difficult to find the items. The mini games were fun, some innovative, all relatively easy or once you give it some thought you should be able to manage them. There are 4 levels of difficulty - rookie, field agent, H.E.L.P. operative and custom. In "custom" you can change everything including the amount of time things sparkle, skip time and hint time. During the demo I like to move hint and skip to the fastest so I can get into gameplay quickly. I liked that there were still "fact cards" to find in the SE version because they were historical and fun to read. I encourage EVERYONE to try this free demo. It's an amazing 90 minutes long and if you've been following this series, this is by far the best one yet. Happy Gaming! Rated 5 out of 5 by biscuitsmama from Murder, Mayhem and Mystery - A Great New Hidden Expedition The Story begins with finding a priceless artifact and then a murder. It looks like we are in for a great ride with this exciting new adventure in the Hidden Expedition series. 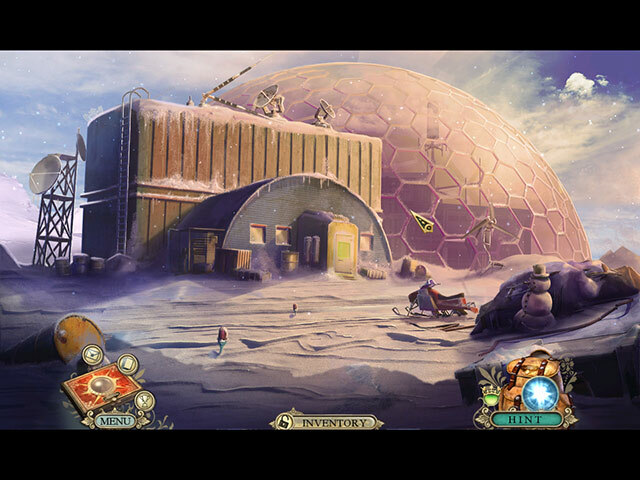 Hidden Expedition The Crown of Solomon is a tale of treachery, loaded with mystery and secret agents. We will travel to exotic locations on our journey to solve the mystery of the missing Crown of Solomon – are you up to the challenge and will you be able to finally restore this ancient artifact? With this being a game from EIPIX, one of the premier game developers today, the game has wonderful graphics. The artists have done an excellent job creating the characters in the game, although I wish they did have a bit more personality as they seem a bit dull. The game does have lip-synced voiceovers which are now standard with this developer. The sound package is awesome including the voiceovers, music and ambient effects, which combined create a feeling of excitement and realism in the game. Your H.E.L.P. box contains your video messages, fact cards, and a section that shows your achievements. You also have an interactive, transporter type map that can be quite helpful. The one thing that I dislike about the recent Hidden Expedition games is that with the H.E.L.P. box we no longer have a journal. It would be very helpful if the developer would add a section for notes that we could review when needed. I don’t want to replay the emails or videos when I need to look up some information in the diary. I am not going to go into all the HOPs but will note that you should keep your eyes open. Discovery is half the fun – right. I happen to like the HOPs that EIPIX includes in their games since there is always a lot of variety. I like what EIPIX has done with their HOPs because they are different but, and here is the biggie, by the time I finished the game I was a bit tired of going through all the multi-levels of the scenes to find items and found them a bit tedious. I think there is some point, that when no matter how great something might seem at first, it becomes a bit too much. This is just my opinion and others may well disagree. 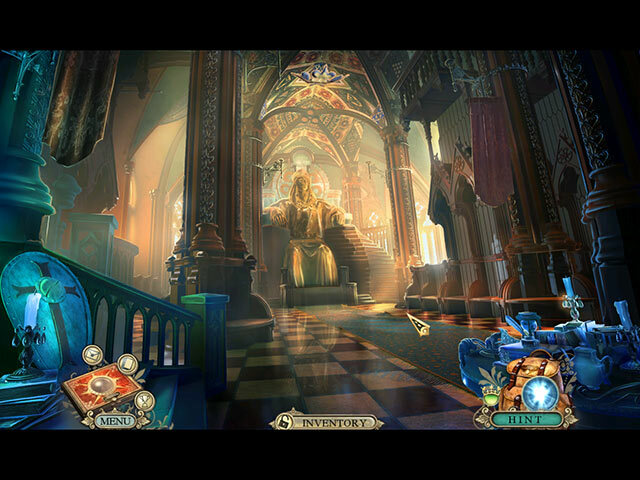 The puzzles are good and my favorite part of all HOPA games. EIPIX does not disappoint with the variety and number of puzzles included. Most puzzles are what I consider easy but a few can be a bit tricky and require some thought to complete. The recent trend has been to include very easy puzzles in games and solving them is a bit like being on auto-pilot. My request to the developer is please add more difficult puzzles to your games, not all of us like very easy puzzles that require no thought. Overall, this new Hidden Expedition game is wonderful and is right at the top of my list of favorite games. I found the beginning of the game in the airplane and the sudden descent to be exciting and very well done. I purchased the CE version and found it to be an extremely enjoyable Hidden Expedition, one that held my attention throughout the game. However, as always, I recommend that you at least try the demo to see if this is a game you will like. Rated 5 out of 5 by pennmom36 from I Need H.E.L.P Get ready for another heart pumping action packed Hidden Expedition folks, this rides gonna be bumpy! It's hard to believe that Smithsonian could ever be topped, but that's exactly what has happened, move over Smithsonian and make room for the new King, or at least King Solomons crown! King Solomon fashioned a crown to pass to his heirs, unfortunately this crown was stolen and broken into several pieces and scattered around the world. He who possesses the crown will rule the world, and a ruthless smuggler, Gordon Redgrave will stop at nothing to get his hands on this crown, there even seems to be a spy amongst the H.E.L.P agency. Once again agent, you are equipped with a communications box which allows you to receive messages from other agents and will come in handy as you find 20 fact cards spread throughout the game which gives you interesting information about people and places you visit. The Hidden Object Scenes are well done but a bit on the easy side. There are several types ranging from interactive list finds, finding multiples of an item, and finding items that match either a colored picture or a sketch. The mini games are simple puzzles such as picture fragments to reconstruct or pressing three different designs that when combined will match the pictures shown. The Collectors Edition has a bunch of extras that you may want to consider, Morphing Objects, 44 hidden crowns, Achievements, Puzzles, HOP, a Souvenir room, Making of, a built in Strategy Guide, a Bonus chapter, a Picture section that allows you to assemble a camera before accessing pictures of the actors, and a movie section where you get to play a mini game of throwing rotten tomatoes at the bad guys, enjoy! Rated 4 out of 5 by RevKellie from Fun game but forgettable Loved the Hope Diamond game and this has many of the same great points, but the story gets lost in the many scenes, puzzles, interruptions. Pros: Beautiful graphics, smooth game play, puzzles medium, voice-overs good, backgrounds varied and interesting. Cons: Instructions on mini-games not very clear. There were a few I skipped because I didn't understand the game play or the game was just slow. Not all clues are intuitive. The game bounces from place to place which makes the story a bit dull/forgettable. Fun game = good but not great. Rated 4 out of 5 by PATinPNS from Can't Wait to Play this One Again This is posted after playing the entire game. This is an excellent game and I had a lot of fun with it. Just the right balance of story, games, and the effects that make for a good game. Can't wait to play it again in a few weeks. The graphics, as we have come to expect from this designer, were awesome; voice overs excellent; and the music pretty dern good. I still don't care for the box for the voice overs, but that's their style and as long as they keep turning out games like this, I can put up with it. 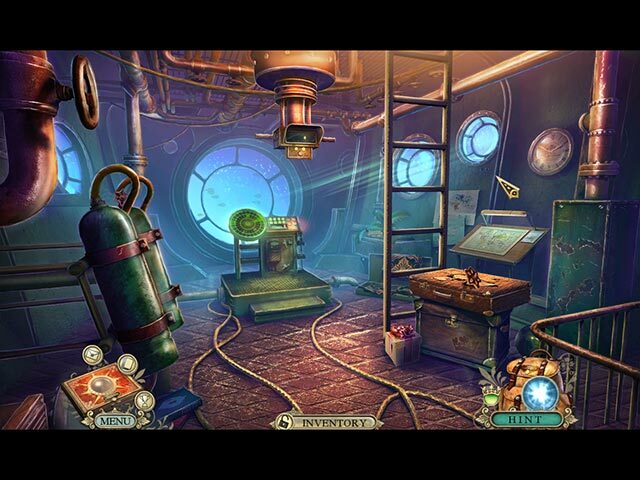 The hidden objects were a combination like their last game. You have several games in one to get your object. If you have read any of my posts you know I do not care for the mini games, but I actually played a few. Some were easy and some I still haven't figured out what to do, but they were good and I did try each and every one. The challenge was just right for me especially the hidden objects. You have an interactive map that does a great job getting you around and showing where something can be done. Great story. The cards that you find along the way are interesting and add to the story. However, being a history buff, I don't remember this story of Solomon. There just might have been a couple liberties taken with it, but it kept my attention all the way through. I'm looking forward to the next one from these folks. I'm sure they are maturing and expect something really special next time around. Rated 4 out of 5 by steve_san from Not Quite Worthy of the Crown - updated review The Hidden Expedition series has been a fairly strong one, with the last offering - Hope Diamond - one of the best in this reviewer's opinion. First off, let me say what this game is NOT. It is not a story about a princess, fairies, or talking animals (so far, so good). It is also not historical - yes, Solomon was a historical figure, but there is no legend about his crown. But okay, I'll play along. You are a member of H.E.L.P., an organization that recruited you in the last episode - but it's not necessary to have played it for this installment. As the title suggests, the goal is to retrieve all the pieces of Solomon's crown, which is supposed to have incredible power, i.e.,wisdom of Solomon. Of course, evil smugglers are also trying to get the pieces and you must not let that happen or - End Of The World. You have a communication device to keep in touch with the H.E.L.P. team. The drawing and artwork is colorful but grainy, not quite as good as Hope Diamond. Voices are fairly good. Puzzles and hidden objects (there are not too many) are very, very (did I say very?) easy. Objects in your inventory are used pretty much right after collecting them, so that's easy too. In th Collector's Edition (CE) there are collectible crowns, morphing objects, a slew of achievements, (including watching the entire credits) and a souvenir room. And the usual bonus play and strategy guide. I was frankly disappointed. Yes, there is a lot to do, but the locations are not compelling, the artwork is not distinctive, the play is far too easy and the story way too predictable. It's an ordinary game, playable but soon forgettable. It may please beginners, but not more experienced players. Wisdom of Solomon? Not required. Three stars Update: ok I bought the CE anyway (there was a sale) and I decided this is better than average so I will update my rating to 3-1/2 stars. I did have some problems with having to click the EXACT spot to complete a task which caused some confusion. It is still not as good as Hope Diamond but worth a good look. Rated 4 out of 5 by hibc60 from really enjoyed this one played the full demo and bought the game. this one just hit me as great. and I want to see how it all ends. so felt I had to purchase. Rated 3 out of 5 by SparkleGlow100 from Took me MONTHS to finish this game. Starts off extremely fun: Plane, Istanbul, the Arctic……. I felt like a true agent, the music was so conducive to the atmosphere that I kept it on low all the time in the beginning. Very little violence shown, and the characters are interesting, at first. However, we soon change location, to an icy-snowy station, and the fun and tempo plummets. We also go on an underwater dive, and then to catacombs and end up in a mansion. The fun is never again what it was in the beginning. Not too many HOPS in the beginning, but they increase in number as you progress. In certain places they were annoyingly small! They sometimes open up as a window instead of filling the whole screen. I prefer it when they fill the whole screen; they should be cleverly hidden, not difficult to find because they're mini! Puzzles were ok. The GRAPHICS just weren't detailed enough, which is disappointing for a 2014 game and there’s no aspect ratio adjustment; you are forced to play it stretched to fill the whole screen, which makes the graphics worse. Dark image. Rated 3 out of 5 by roaming from Less Than Expected At first I thought, "Oh, yea! At last a good SE!" But sadly, the demo was nothing special, and I was soon bored by the too easy HOS and having to solve (or skip) a puzzle at every turn. I do appreciate that the developers have included a variety of custom settings, including the ability to reduce the hint and skip times, and also the ability to increase them. (Why anyone would want to do the latter, I can't imagine.) This game has live actors, and the voice-overs are excellent. There is an interactive map, and some of the hints are transporting. The graphics are well done, but I didn't think as good as those of Hope Diamond. I really enjoyed Hope Diamond, but this one fell short of expectation. Rated 2 out of 5 by campingramps from Definitely not a buy for me One of my favorite developers has fallen short on this one. Hidden Expedition usually comes up with some great games but this one has fallen into the now, for some reason, popular back and forth, back and forth genre which I hate. I want to play this type of game and feel like I am progressing in the story and not just wasting my time. And there are some actions that make no sense at all - like setting off cannon when you are trying to HIDE from the bad guys. Graphics are not up to par with what I expect from this developer. Some areas are great yet others are way to amateurish. The characters are well drawn, though and the voices are human. The HO's are a little on the easy side for me but some of the mini games are worth playing. Can't comment on the music because, even if I let it play, I usually tune it out and don't even realize it's playing. What I can't understand are the reviews that are bad but are based on playing the full game. If you play a bad demo, don't buy the game. I have played just about all the HE games and own quite a few and this one will not be on my buy list. But play the demo anyway and base your purchase or not on this and not the reviews. I don't recommend this one but you might like it. Have fun! Rated 2 out of 5 by FarmerWife from wish I hadn't wasted the money The gamemakers tried really hard to include as much story as possible but the game still wasn't challenging enough to keep me playing for more than a couple of hours. I finished the game so quickly that I felt I had wasted my money.